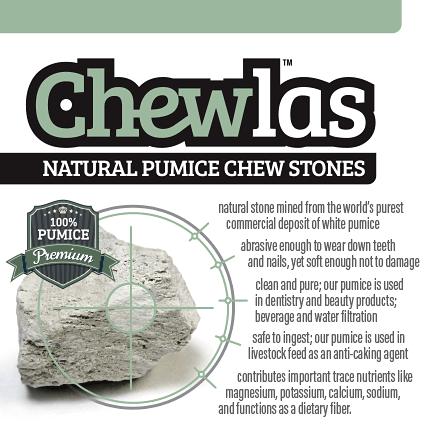 Chewlas™ are naturally pure, naturally dense pumice stones for your critter to chew on and play with. Suitable for all gnawing critters—chinchillas, degus, rats, rabbits, gerbils, guinea pigs, etc. These pumice stones provide your pet with the ideal abrading surface to keep claws and teeth naturally worn down to a healthy length. 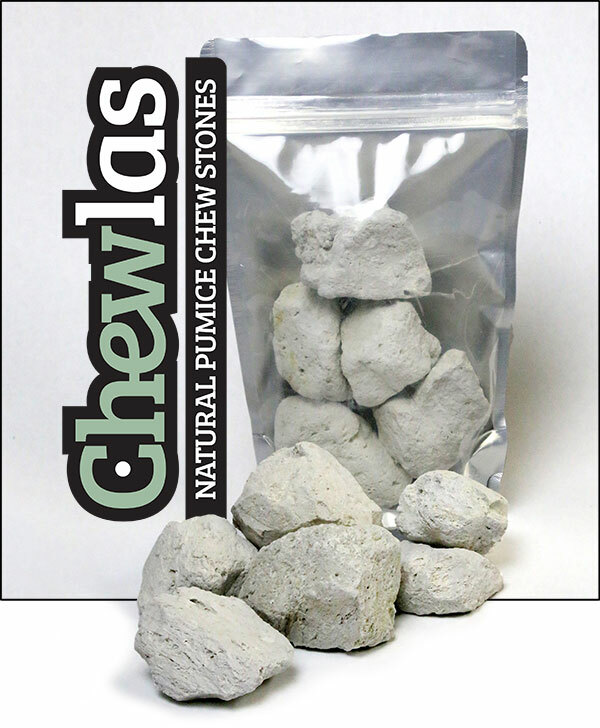 The quality of these dense pumice stones is superior to lightweight "floating" pumice stones and pressed-and-molded pumice chew products on the market. These premium chew stones come from the same mine/source as our ChillDust™ Premium Bathing Dust. 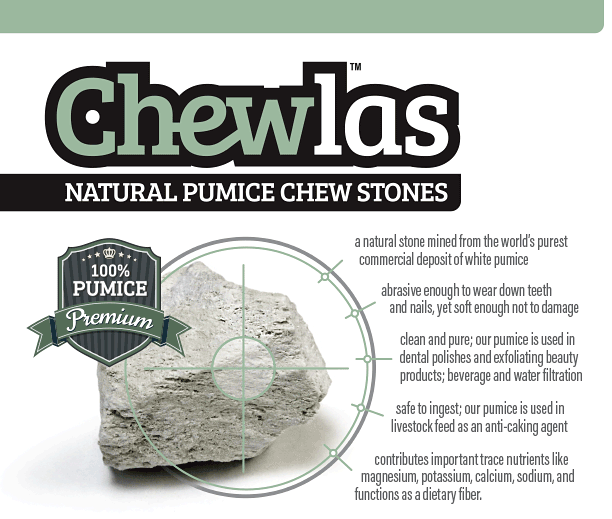 INSTRUCTIONS: Simply place a Chewla™ chew stone in your pet's cage. 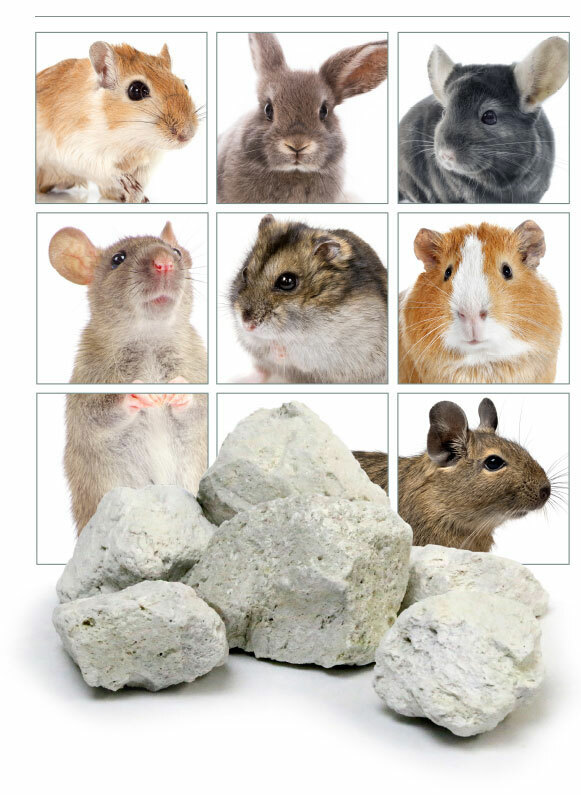 If your critter has never had a chew stone before, it may take a little time for 'em to figure it out. Stones available packaged as small stones only (10 - 12 per bag) as well as a mixed-size variety pack (10 - 15 stones), with stones ranging in size from (roughly) 1 inch to 2.5 inches.